While professional development is a mainstay for all nurses, it’s particularly essential in the fast-paced world of cardiovascular health. Staying current with guidelines-based care and up-to-the-minute information can help you and your patients in preventing and managing life-altering disease. With long, often unpredictable shifts, how can you find the time to expand your knowledge and skills? Using internet-based resources such as PCNA’s on-demand digital library, you can have the latest information at your fingertips at any time of the day or night. Catch up during your lunch break, in the middle of the night, or whenever you have some time to devote to yourself. 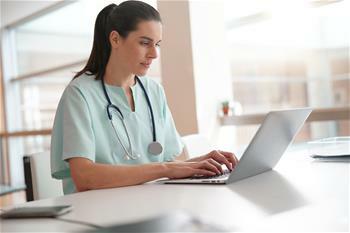 Online continuing education for nurses can make learning markedly simple. Continue reading to learn more about each of these perks of using your computer to help you become a leader in cardiovascular disease prevention and management. Cardiovascular health recommendations and medical advancements can change quickly. Reliable coursework available from online continuing nursing education programs like ours gives you the opportunity to stay on top of the latest developments so you can give your patients the best care possible and become an even greater asset to your team. Looking for more ways to enhance your patient care? Check out these clinical and patient tools available for order or download. With on-demand courses to help you advance your career, you can choose which classes to take and when you want to take them. No need to be at the mercy of traditional classroom schedules – work at your own pace from your computer whenever your time and energy allow. Feeling the need to re-charge? Check out these self-care ideas for nurses to boost your well-being. Online continuing education courses allow you to hone different skills than you would in an in-person class, or even on-the-job in some clinical settings. Mastering virtual technologies, such as video conferencing and webinar tools, and learning to communicate effectively online can broaden your skillset and improve the way you interact with colleagues and patients. Online learning gives you access to a vast range of educational opportunities when you need them. With a click of the button, you can begin taking classes covering topics of particular interest to you and your specialty. From Acute Coronary Syndrome to Women and Heart Disease, our on-demand continuing education library of topics runs the gamut of subjects important to emerging and veteran leaders in cardiovascular nursing. With your PCNA membership, you’ll have access to many free and discounted online continuing education courses for nurses. Discover more benefits to joining and choose your member option today. To learn more about PCNA, contact us online or call 608.250.2440.